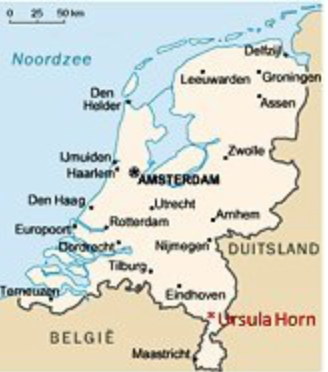 In the south eastern region of the Netherlands, where the country narrows down into the south of the province of Limburg, close to the German and Belgian borders, there is a school for secondary education called Scholengemeenschap St. Ursula. 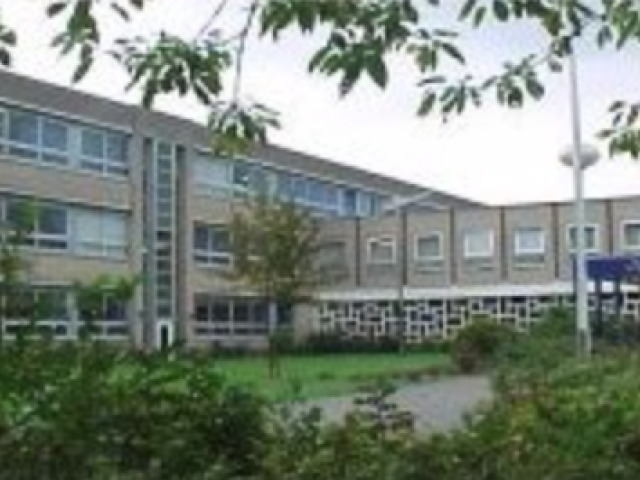 The school was established nearly a century ago in the nearby city of Roermond, the seat of a bishop, under the auspices of sisters of the convent of St. Ursula. It started out as a school for girls from the more well-to-do families in the region, but soon girls from all over the country were sent there to receive a thorough education and to be prepared for society.At the end of the sixties the education system in the Netherlands was thoroughly overhauled. One of the results was that there was no difference anymore in the curriculum for boys and girls; the school became mixed as a result. 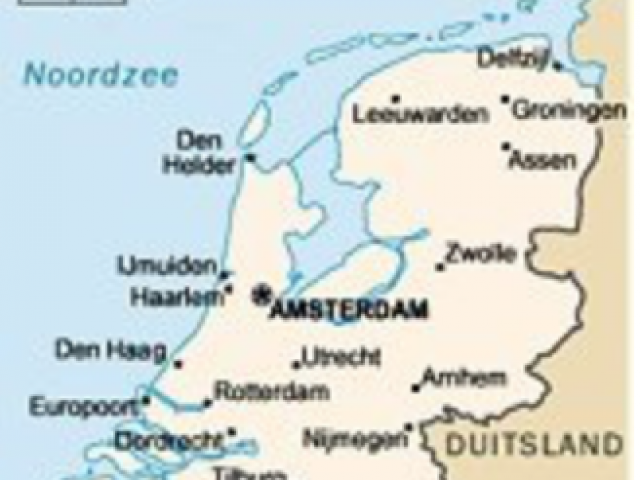 Since the city had long had a school for boys, the so-called Bisschoppelijk College, and another, non-denominational school, the decision was taken to move the school across the river Maas, to the village of Horn. 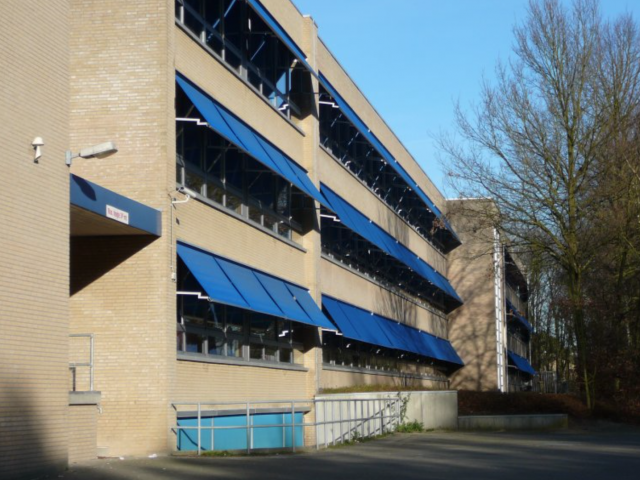 The aim was to provide secondary education closer to the homes of many of the pupils, who had until then been compelled to travel to Roermond, and also to avoid competition among schools in Roermond. Demographic data showed that the population in the rural vicinity of Roermond would grow, and that a secondary school would not only be viable, but also desired. That turns out to have been a wise decision, since the school grew from an initial 500 students to nearly 1700 in 2005. Both the natural growth and a merger with another school in the area necessitated two extensions to the school building, which is magnificently housed in a park-like environment. Ursula is a comprehensive school catering for all students living in the area, offering mainly theoretical education in Horn, and focussing more on practical skills in another branch in the village of Heythuysen, six kilometres away. Both branches do very well. The staff have always chosen to introduce changes in the educational system at a slow pace, making sure that initial flaws are repaired before changes are fully implemented. The school in Horn now houses 1550 students, has some forty classrooms for theoretical education, most of which have a computer and either a beamer or a smartboard. All have internet connections, and there is an extensive wireless network, too. Apart from that there are science labs, three P.E. rooms, three computer classrooms, a number of smaller workrooms, art rooms and two halls for the pupils to spend their breaks in. Most pupils bring their own lunch, though limited catering is offered as well. Nearly all of them bike it, some as far as 15 kilometers away. The school has a good reputation and the number of pupils passing their exams each year is quite high. An increasing number of pupils with special needs, such as children with varying degrees of autism and dyslexia, attend the school. By far the most pupils are of Dutch origin, making it both easy and unavoidable for immigrant children to fully integrate.